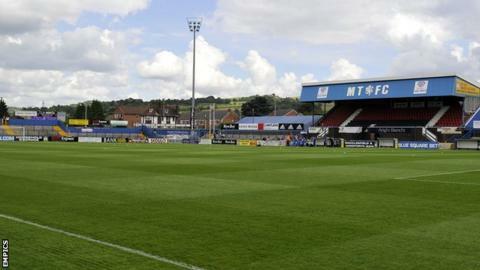 Conference Premier side Macclesfield Town say they need £150,000 of investment before the start of 2014 to ensure their survival into next year. The Silkmen are still coping with the effects of relegation from the Football League in 2012, despite a run to the fourth round of the FA Cup last season. But their future is still not secure without some additional financial help. Associate director Andy Scott said the key stakeholders in the club, which in June, are prepared to invest £150,000 and they are appealing for the same amount from local people and businesses. "It's important that no one gets complacent," he told the club website. "The FA Cup will help, but we're still significantly short of our financial target for this year and we'll find it difficult to avoid a crisis without additional support. "It will give the club a fighting chance of still being around in its 140th year in 2014."